1. 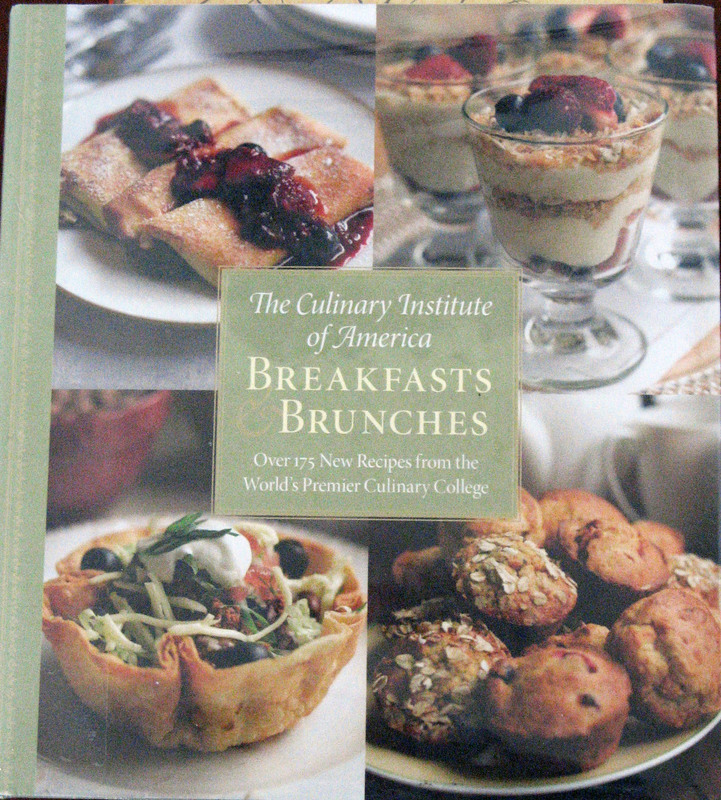 Breakfast and Brunch: and introduction with essential information and helpful ideas on planning your event. 2. Breakfast and Brunch Drinks: everything from hot coffees and chocolate to lemonades, and alcoholic drinks appropriate for morning fare. 3. Muffins, Quick Breads, and Coffee Cakes: think raspberry muffins with pecan streusel, cheddar and thyme muffins, honey almond crumb cake, angel biscuits, soda bread, and cream scones. 4. Sweet and Savory Breads and Pastries: the many options include cinnamon rolls with apricot glaze, brioche loaf, cherry cheese baskets, cheese pockets, bear claws, and chocolate biscotti. 5. Pancakes, Waffles & Crepes: blueberry pancakes, buckwheat blinis with apple butter, corn and scallion pancakes, french toast with orange sauce and raised waffles are just some of the options in this chapter. 6. 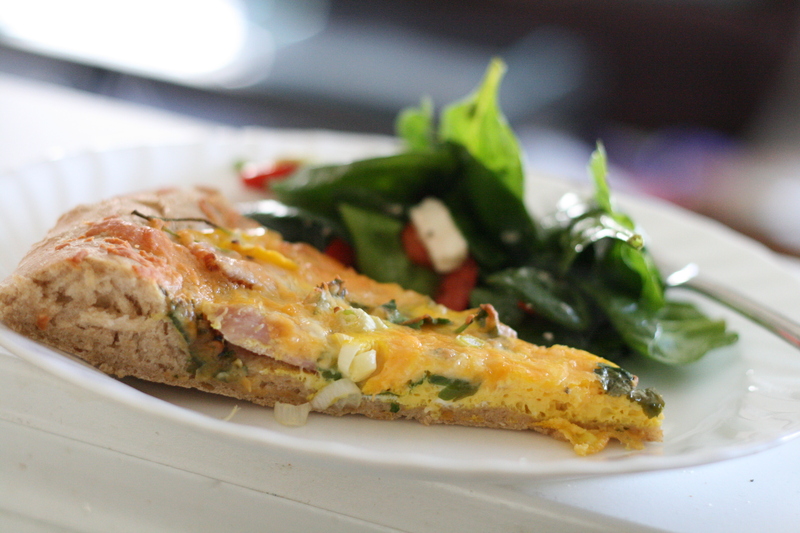 Eggs: It's always fun to try something new with eggs and there are some terrific looking recipes such as huevos rancheros, eggs benedict, orange and cherry bread and butter pudding, and caramelized onion quiche. 7. Grains & Legumes: this includes garlic cheese grits, polenta with mushroom ragu, cream of wheat with orange and pistachios, kasha with spicy maple pecans, wild and brown rice with cranberries, couscous salad with curried vegetables, and granola parfait. 8. Meats, Fish & Potatoes: the book gets down to some serious breakfasts with ham steaks and redeye gravy, broiled sirloin with sauteed mushrooms, poached salmon with hollandaise sauce, and corned beef hash. 9. Soups, Salads, and Small Bites: cold strawberry soup, tropical fruit salad, mushrooms, beets, and baby greens, apple sandwiches with curry mayonnaise, and gougeres all sound tempting! I decided to try something out of the ordinary -- the Chorizo and Egg Breakfast Pizza. Although it sounded a bit strange to pour beaten eggs over a pizza crust, the results were delicious and an ingenious way to serve pizza for breakfast. I didn't have any chorizo, but I did have ham and so adjusted the toppings to suit the tastes of my family and the availability in my refrigerator! You can do the same. Combine the warm water, olive oil, salt and yeast in a bowl. Gradually add in the flour until you reach a good consistency for the dough. You may need more or less flour than called for. Dump the dough out onto a floured surface and knead for 3-5 minutes until smooth and elastic. Grease a bowl and lay the dough inside to rise. Cover with a cloth or plastic wrap and let rise until doubled -- about an hour. If you want to make your dough ahead of time you can place it in the fridge after kneading and leave it overnight or for up to two days. Once risen, punch dough down and spread on a greased baking sheet. Preheat the oven to 425F. If I have used whole wheat flour, I like to partially bake my pizza dough before adding the toppings. I bake it for about 8-10 minutes. In a large saute pan over medium heat, saute the chorizo, stirring frequently, until cooked, about 5 minutes. Remove the chorizo from the pan with a slotted spoon and drain on paper toweling. Sprinkle the chorizo over the pizza, followed by the black beans, red pepper and cilantro. Season with salt and pepper. In a small bowl mix the eggs together with a fork and pour evenly over the pizza, being careful not to pour the eggs too near the edges. Top with the cheese. 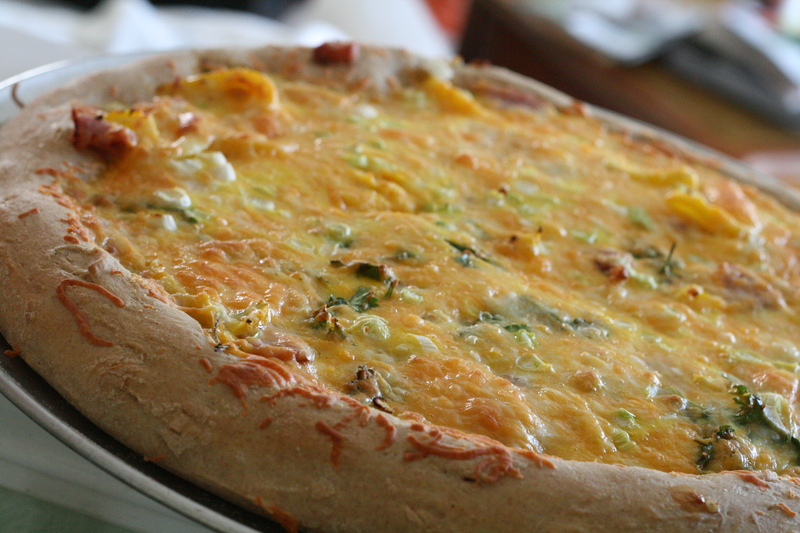 Bake the pizza until the edges are golden and the eggs are full cooked, 15-18 minutes. Cut into squares or wedges and serve hot or warm. MMM, delicious!!! Looks absolutely yummy :-) thanks for posting this recipe. I'll be sure to try it out sometime soon! !